Filomena Frisina is a leading lawyer practising in the area of corporate law, advising domestic and multinational businesses. She is a Toronto-based Gowling WLG partner with more than 25 years' experience. She can provide you with advice on corporate and private M&A matters, with a particular focus on the insurance sector. Her other sector clients originate from healthcare, food distribution, real estate and advertising. 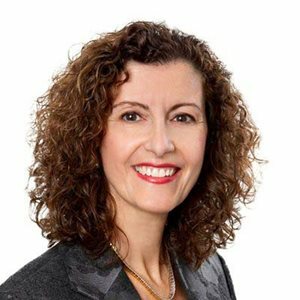 Filomena is the leader of the firm's Financial Services Regulatory Group and co-leader of the InsurTech Group. Passionate about helping her clients achieve their business objectives, Filomena demonstrates strategic acumen, and sets a co-operative but rigorous tone in bringing together the required expertise of other disciplines and practice areas to a transaction. Filomena is highly regarded for her leadership skills in managing large and small complex projects and transactions. She leads a number of multi-disciplinary and multi-jurisdictional Gowling WLG client teams, and applies these skills to project work. Filomena has been ranked by Chambers Canada for her expertise in insurance regulatory and M&A transactional work. Filomena seeks excellence in every aspect of her work, as well as outside of her professional life. She enjoys working in the arts where she can apply her creative abilities. Throughout her career, she has served as a member on numerous boards for both public and private companies, including not-for-profits. Until recently, these have included Travelers Insurance Company of Canada and the Art Gallery of Hamilton. Within Gowling WLG and outside of the firm, she enjoys helping to guide younger lawyers in their career development and aspirations. Past Director (Past Member, Audit Committee and Conduct Review Committee), Travelers Insurance Company of Canada and formerly with its predecessor, Northern Indemnity, Inc. Acted for Economical Mutual Insurance Company in its acquisition of Western Financial Insurance Company, a P&C company operating in each province of Canada. Acted for Economical Mutual Insurance Company in connection with an assumption reinsurance transaction involving one of its subsidiaries. Acquisition of Canadian branch of an American fraternal benefit society by a Canadian fraternal benefit society including licensing of insurer in relevant provinces. Review of numerous third party administration agreements on behalf of insurers and licensed insurance agents. Advised in connection with the establishment of a branch insurance business for foreign insurer across Canada.